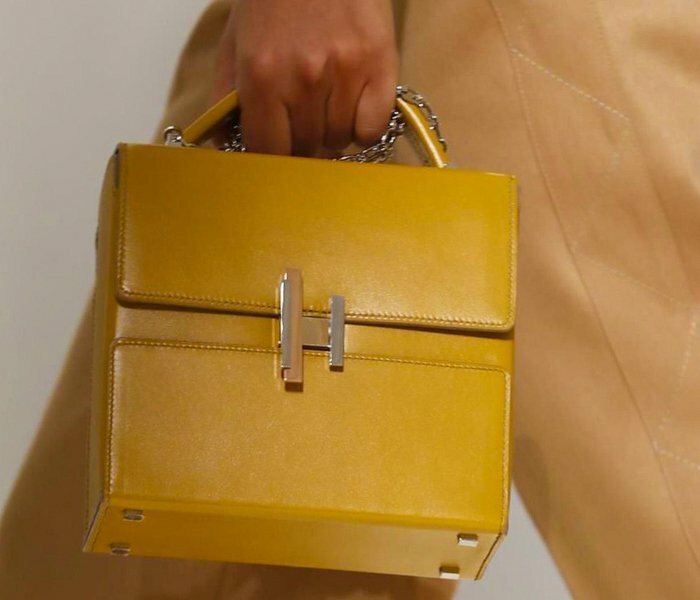 It was first-presented at the Spring Summer 2017 runway as the promising handbag. The name? 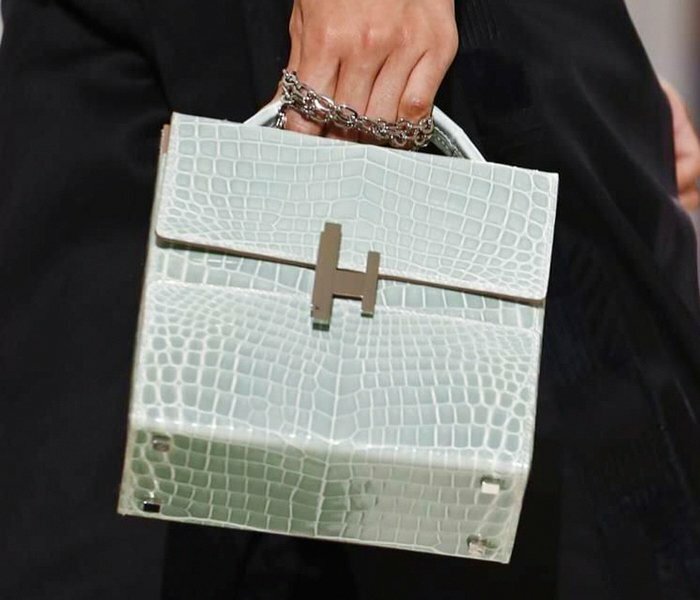 Hermes Cinhetic Bag. This line consists more than only the shoulder bag because we’ve already revealed the Cinhetic Clutch and the Cinhetic Clutch With Strap. And we belief there will be more in the future, so expect the wallets and other mini accessories to follow. 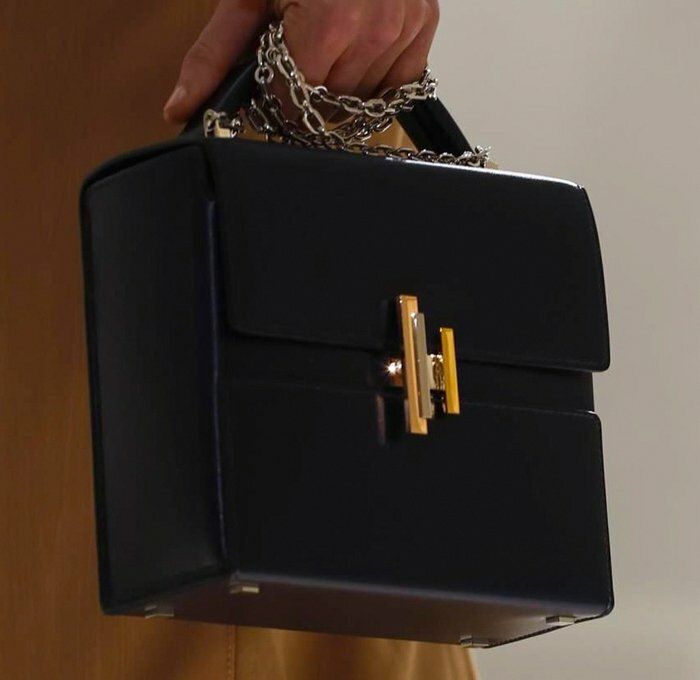 The Cinhetic Box Bag is like a beautiful cosmetic box. It’s squared and boxy as it comes with a nice curved handle. 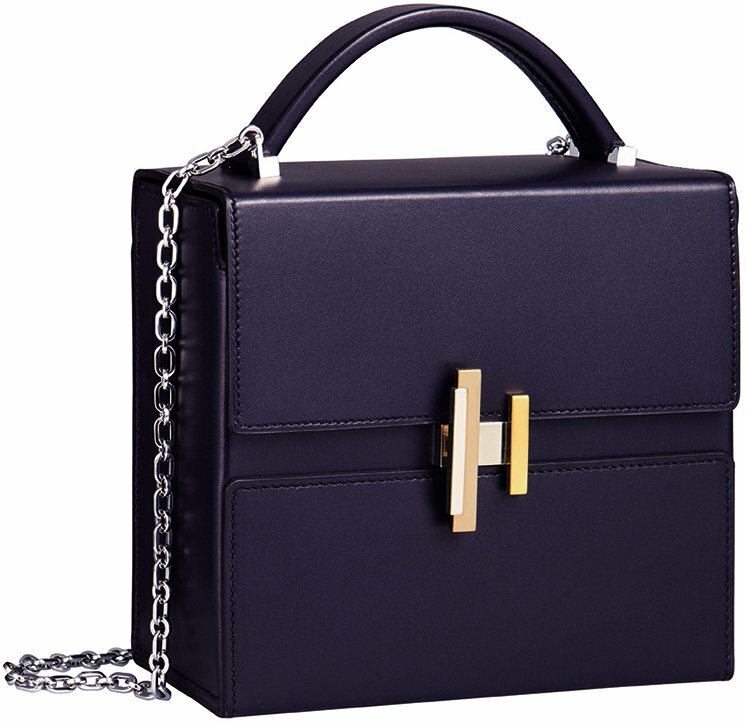 You can also use the jewel-like chain for cross body or shoulder carry. The architectural style feels minimalistic and urban-like, but also very elegant. 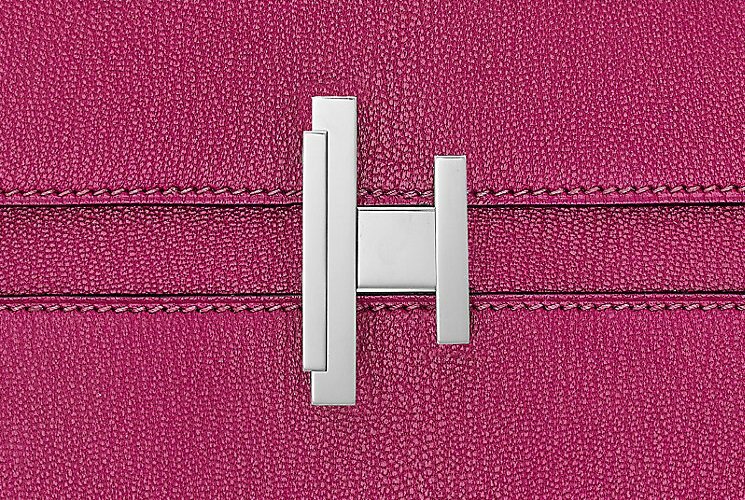 But what makes the Cinhetic collection special is the new center H clasp. Obviously the clasp represents the house, but the right part of the logo is shorter than the left part, which is quite interesting. 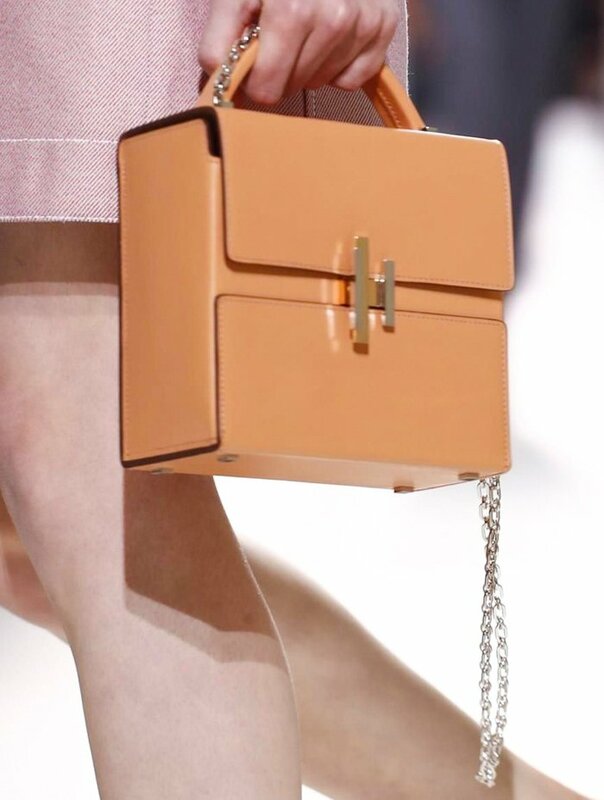 Also, the logo clasp is crafted in mixed silver and gold hardware, creating an eye-catching object. 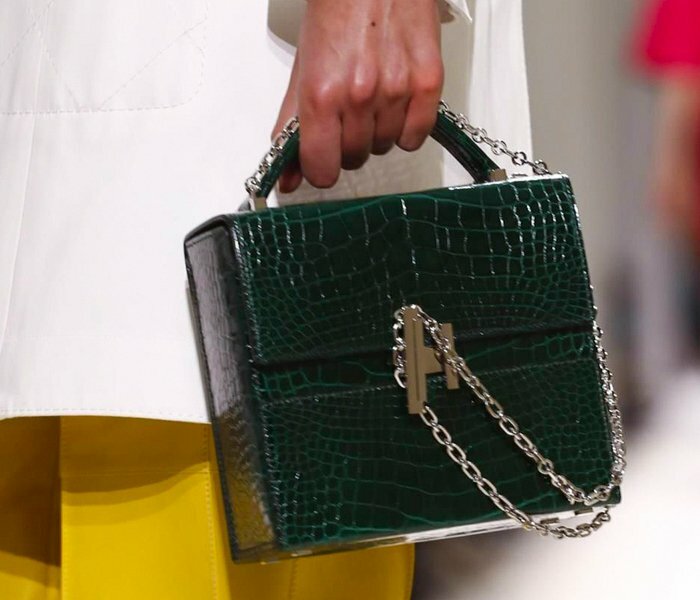 This handbag is available in different colors as well as in exotic leathers. So what do you think? Gorgeous or not? 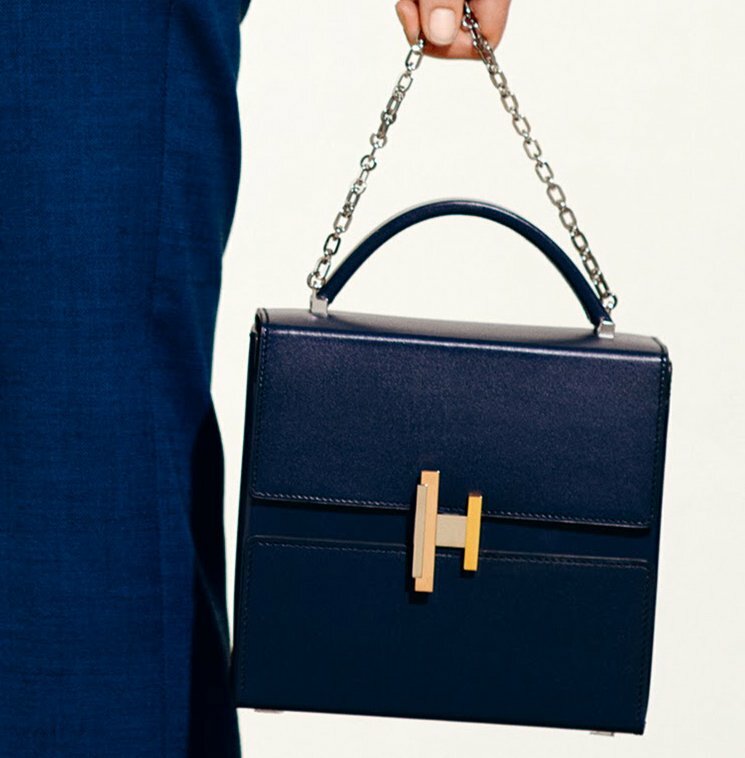 In order to get into the inside, you will need to turn the H logo clasp. 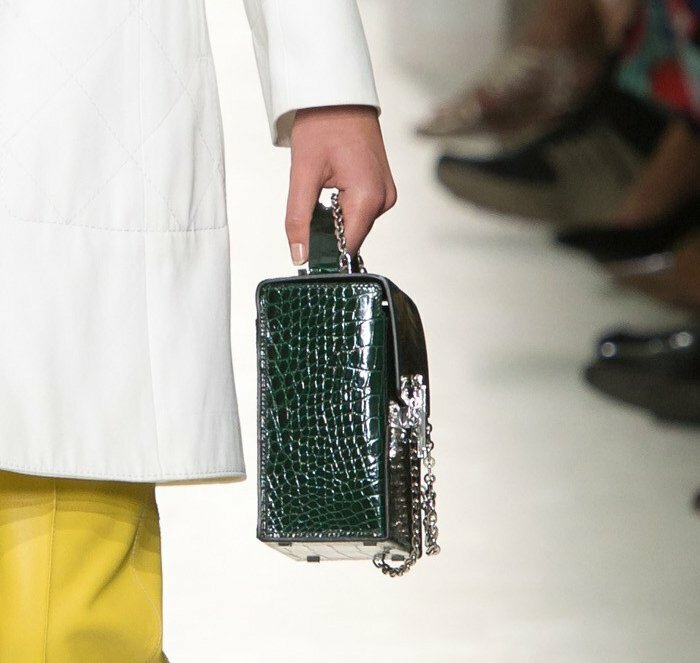 The interior is quite spacious as the interior is comparable to a medium-sized shoulder bag. Currently we do know the exact measurement and the prices. More info will follow soon.